The below are just examples – we will help to get quotes for your bespoke wedding. And don’t forget the cost of hire includes some handy extras, including help to plan your wedding and create your vision. Keep things simple and enjoy a relaxed outdoor wedding without any frills or fuss, by opting for a few basic amenities to keep your guests comfortable. Delve into Rookery Meadow’s Barn of Curiosities to find quirky accessories to add a bit of personality, such as decorating your marquee with our bunting and jam jars filled with flowers. The meadow is the perfect place to celebrate a country wedding. 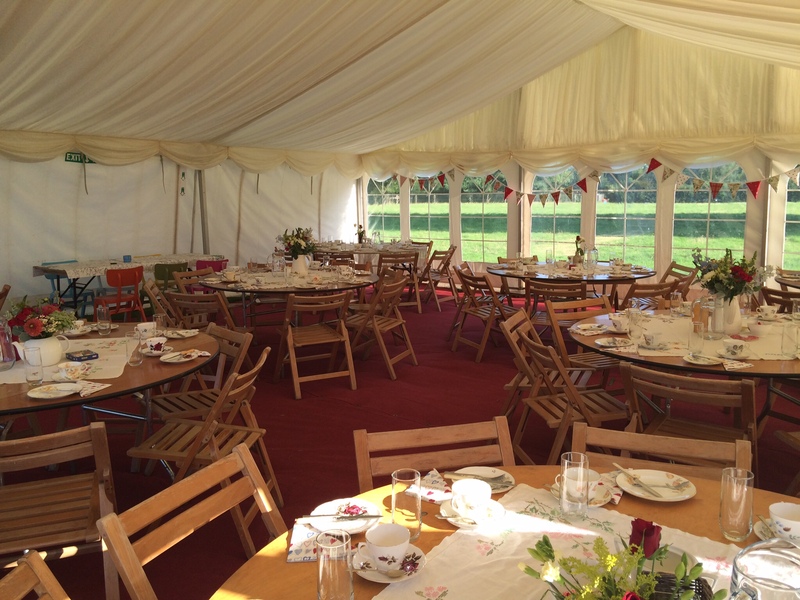 Think wedding wellies, hay bale-seating, chequered table cloths, and a cosy corner with blankets. 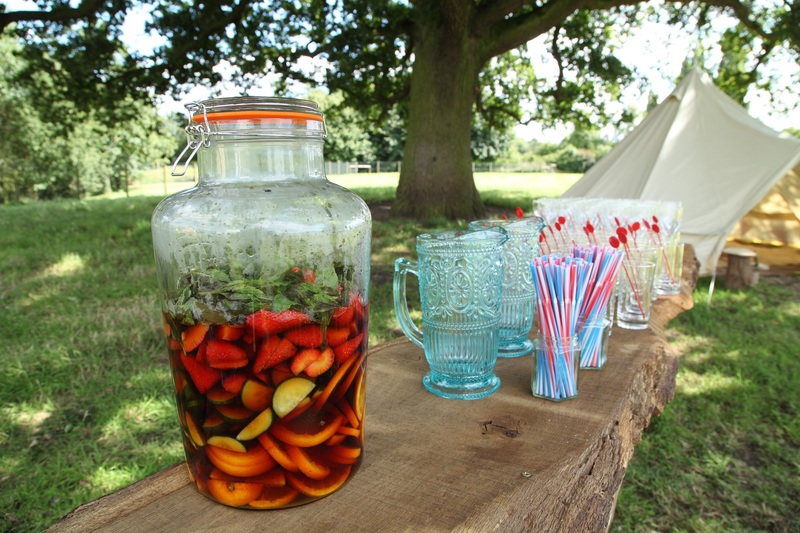 A picnic makes a tasty wedding breakfast, and our giant kilner jars filled with Pimms create a welcome tipple that looks and tastes amazing served under the old oak tree. With the smell of freshly cut hay and the gentle sound of tractors harvesting the crops in the background, you will feel fully immersed in country life! Longing for a festival wedding? Then Rookery Meadow is the perfect venue! With camping included in wedding venue hire, you can extend the festival experience right into the night too! Try adding different tents to house the bar, music, a photo booth and chill-out zones. With four acres to fill you can even hire catering vans such as a wedding pizza van to really achieve that festival wedding feel. 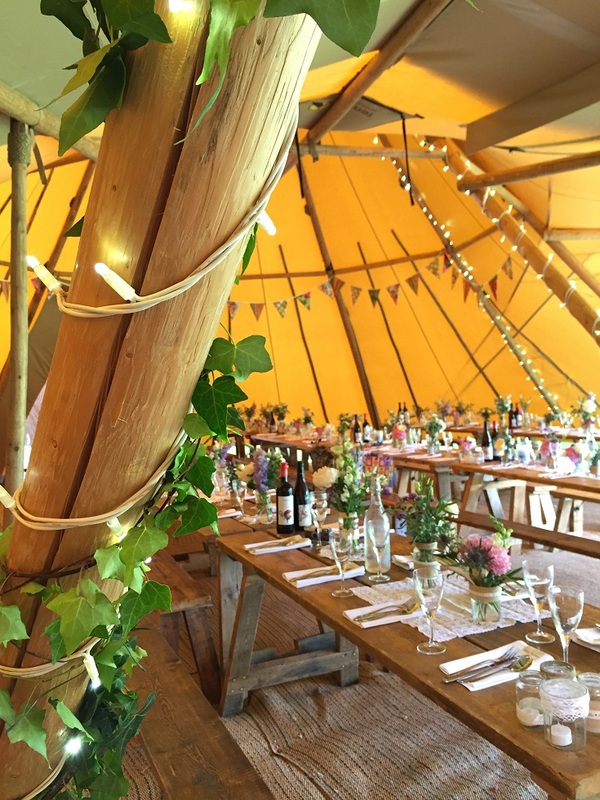 Rookery Meadow makes the perfect tipi wedding venue. 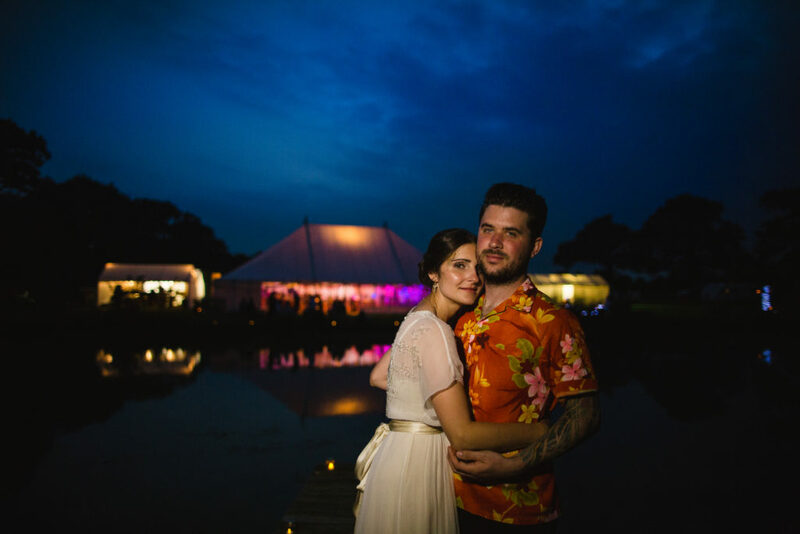 With their rustic wooden benches and gorgeous canvas walls, tipis blend beautifully into the outdoor wedding environment and are simply stunning overlooking the lake. A wedding tipi can provide a magical experience for you and your guests . A relaxed wedding breakfast fits perfectly with a tipi wedding, from afternoon tea to a BBQ or delicious sharing platters. Bliss. It always comes down to tea and toilets when organising a wedding. Our wedding planning service will ensure you don’t forget to add the creature comforts, and obtain all the official certification you need so you can focus on the fun bits. We will produce a day plan for your wedding, that can be used by you, your bridal party and suppliers. We will also help to gather important information like insurance and hygiene certificates to ensure your suppliers provide you with the best possible service. The above are just examples – apart from the hire price, everything else is up to you! And don’t forget the cost of hire includes some handy extras, including help to plan your wedding and create your vision. Now that you feel all inspired, get in touch and come and meet us to discuss your ideas!